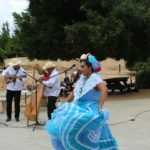 The California Citrus State Historic Park hosted three festivals on February 26, 2017, March 26, 2017, and May 6, 2017. 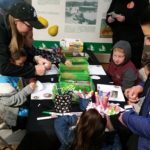 Visitors experienced stories of citrus and im/migration with a variety of events including live music, packing contests, story shares, and citrus tastings. New exhibits, guided tours, and discussions with our community partners cultivate inclusive histories at the park and engage the public in conversations about race, immigration, and labor in the Inland Empire. 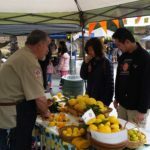 Visitors taste a variety of citrus on March 26, 2017. Photo by Stephen Moreno. Son Jarocho performance by Conjunto Tenocelomeh, May 6, 2017. Photo by Cherstin Lyon. 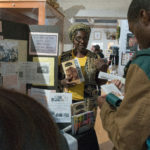 Dora Nelson African American Art and History Booth, May 6, 2017. Photo by Kate Alexandrite.